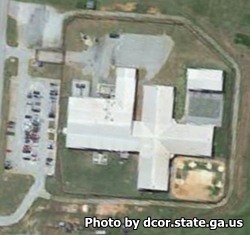 Spalding County Correctional Institution is located in Griffin Georgia. It is a medium security institution that can hold 384 adult males who have been convicted of a felony. Inmates in the general population are housed in an open dormitory setting, inmates in segregation are held in single cells separately. Selected inmates can work on crews that provide a supervised supportive labor force for the county government including animal control, public works department, the police department, and water authority. The work details include maintenance, janitorial, and construction positions. Inmates at Spalding County Correctional Institution can receive counseling to learn the impact they have had on their victims, for family violence, and for personal growth and well being. Inmates can also earn a GED and learn to read. The visiting hours for Spalding County Correctional Institution are Saturdays and Sundays from 9am to 3pm.